This past weekend, the New York Islanders returned home to the Nassau Coliseum for the first time in three years. For over 40-plus years, that building represented what embodied the fans and Long Island as a whole — gritty, no frills, hard-working. One player who has embodied all those traits — and was a wrecking ball all night in their 3-2 come from behind win — is Johnny Boychuk. 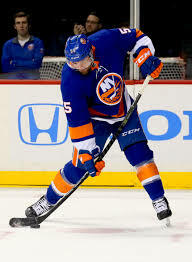 Boychuk, 34, has played with the Isles since their last season at the Coliseum in 2014-15 when he was acquired from the Bruins by then-GM Garth Snow the week before the regular season started. Through his four-plus seasons with the team, Boychuk has been a stable on the blueline, playing top-four minutes and wearing an A on his sweater last year. What also has become normal for fans and critics alike through Boychuk’s tenure, is his rough n’ tumble style and willingness to play through pain. One thing to realize when you watch Boychuk on a nightly basis: It seems like he’s always playing hurt. The number of games he’s played in has decreased each year he’s worn an Islander sweater, most of them being due in part that he was legitimately hurt. But anytime you see #55 block a shot or throw his body around, you see him wince in pain. It’s hard to imagine that there’s not something ailing him. Isles fans have become numb to a point that anytime they see Boychuk, or anyone for that matter go down in pain, they should assume the worst. Through the quarter point of the season, next to Scott Mayfield, Boychuk has been the Isles best defensemen. He only has three assists to show for, but Boychuk’s overall game and his physical presence have him playing his best hockey since his first season on Long Island. Seeing Boychuk return to being one of the teams’ more effective, dependable d-man is huge positive after a rough campaign last season — he played the second least amount of games in a season in his career and had his produced his lowest offensively since he became an Islander. 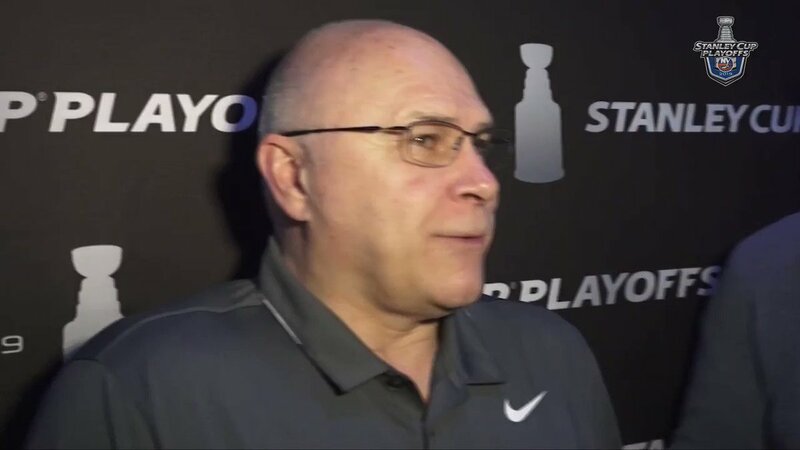 What has also attributed to Boychuk’s rebound is the defensive structure head coach Barry Trotz has put in place. Nearly all season long last year, Boychuk and his fellow d-men would be overwhelmed in the defensive zone. We’re not talking puck on a string here, we’re talking giving up 40 or more shots a game on a regular occurrence. So much so, they gave up a league-worst 296 goals. Observing the defense since the season began, there is less running around and more positioning and awareness. He still can look very slow at times, but Boychuk has looked very comfortable with the system put in place by his new bench boss. Boychuk still has yet to score a goal this season, but it hasn’t been for the faint of heart. He actually ranks second on the team in shots with 62, 11 behind captain Anders Lee. Boychuk has been notorious for throwing the puck at the net from anywhere, but seems to be even more motivated to contribute offensively this year. It comes as no surprise — still having a rocket of a shot — that whenever he sees that bouncing puck come off the boards just before it goes over the blueline, that he’s looking to wire it pass the opposing goalie. Trotz himself knows how much value Boychuk brings to the team, even if he’s only been associated with him for just a few months. “Tough man, Johnny Boychuk,” Trotz told Newsday after the Isles won 7-2 in October that saw Boychuk take a hard shot off his foot. “Johnny is a little bit old-school.” That old-school mentality has come up again in the past few weeks, where Boychuk has been at his best. But even that hard-knocks attitude Boychuk preserves can take a backseat once in awhile like in Boston last Thursday. The rugged d-man saw former teammate —David Krejci’s — loose teeth on the ice after his collision with Thomas Hickey and decided to pick them up and return them to the Bruins bench. Talk about a nice guy. It’s still up in the air how much longer Boychuk has left in the tank. He does have two years left of his contract at $6.5 million per before his cap hit goes down to 2.5M, but there are a couple of prospects in the organization that could make the jump soon from the AHL to NHL. And with his throwback style, the physical toll on Boychuk could soon become too much to handle. That could be another thing to look out for down the line this season. But for right now, the Isles brass and coaches should be thrilled with Boychuk’s play. If he can continue to compete at a high level, the Islanders will keep turning heads and become a legitimate threat in the Eastern Conference. With a lot of high-powered offenses — Winnipeg, Pittsburgh, Detroit — all on the docket this week, Boychuk will play a key role defensively for the Isles to keep banking points. Many expected him to take another step back this year, but Boychuk’s been the farthest from that. And for the Islanders, that’s more than they could have asked for.